A reminder that this weekend we take on King Edward VII School in Rugby and Hockey on their home turf! Photo's available for purchase on our Photography Shop! Parktown Boys’ High School believes in the commitment to an ethos of excellence and quality, honesty, integrity and gentlemanly conduct, tolerance and empathy, trust and respect, self-discipline, initiative and enterprise, leadership and team spirit, full participation, free communication, personal and social achievement. The motto of Parktown Boys’ High School, “Arise”, inspires the tradition, values and spirit of the learners, parents and staff of the Parktonian family. Submit an Expression of Interest for your Child in 2020 NOW! Ready to rock the #DareDevilRun2019, paint the streets purple and run Cancer out of town!! Featuring images taken by the PBHS Photographic Society. Over the past five years, Parktown Boys’ High matric classes achieved a pass rate of 98-100%, with 90%+ learners achieving university entrance passes. During this period, twenty five learners obtained a minimum of 7 distinctions each. Of these top achievers, ten obtained 9 distinctions each and two further achieved ten distinctions. The subject average, across all subjects is 60%+, with our boys also excelling (72% average in 2018) in subjects such as Advanced Programme Mathematics, administered by the IEB. Parktown featured prominently in a Sunday Times Top 100 schools survey in South Africa. The study also identified Parktown as the only boys’ school in Johannesburg to make it into The Top 10 Schools in Gauteng, and the only Johannesburg state school in the top 10 Science schools in South Africa. Apart from regular teaching, Parktown offers a rigorous extra-lesson programme that caters for all subjects and all grades. These classes form the backbone of an education system aimed at excellence. It is our belief that a strong education will make the difference in your ability to choose a career that both interests you and suits your unique character traits. English is offered at a Home Language level, and is taught by a dedicated and highly professional team. A minimum of 40% in this subject is required in order to pass. However, it is expected that boys at Parktown achieve a higher mark than the accepted minimum, and their work is marked at a high standard in order to achieve this. It is also required of each boy to read at least one book per month. This not only contributes to their fluency and comprehension of the language, but assists them in becoming well-rounded, literate individuals. Afrikaans is one of the first additional languages taught at Parktown Boys’ High School. We subscribe to the national policy of additive bilingualism. As Afrikaans educators we try to create favorable learning conditions as regard time, teaching strategies and learning success. We recognize that language, literacy and communication are intrinsic to human development and central to lifelong learning. Languages, in this case Afrikaans, thus play a crucial role in the development of our boys. Our team of educators aim to equip our boys with life skills for all areas of their lives by making our teaching as pleasant and enjoyable as possible. isiZulu is the widely spoken home language in South Africa as well as being understood by the majority of the population. It became one of the eleven official languages in 1994. isiZulu in Parktown Boy’s High School gives learners an opportunity to expand their knowledge of using the language effectively in different situations. As we train learners to be our future leaders, it is crucial for them to understand the most dominant language in South Africa. It is also recommend for business purposes, people use the language to communicate with their customers/clients. In Parktown Boys’ High School, we provide all the skills that will equip learners to engage in various activities as well. Mathematics continues to be one of the top-performing subjects at Parktown Boys’ High School. Our learners have excelled in this subject in the past and continue to do so. Our team of highly-skilled educators is committed to ensuring that our learners understand difficult Mathematical concepts and put in extra effort to guarantee success. Mathematical Literacy is the practical application of Mathematical concepts in real-life situations. Life orientation is the study of the self in relation to others and society. It applies a holistic approach. It is concerned with personal, social, intellectual, emotional, spiritual, motor and physical growth and development of learners, and the way in which these dimensions are interrelated and expressed in life. The focus is the development of self-in-society, and this encourages the development of balanced, confident learners who will contribute to society. At Parktown, Life Orientation applies real life scenarios to the learning process. In 2013 the Department of Physical Science of Parktown Boys’ High School celebrated 90 years of excellence and success. Hundreds of remarkable South Africans have been formed in our classes since 1923, joining the most prestigious faculties of the country (and overseas) to later become capable and skilful engineers, scientists and professionals in various fields. What is the secret of success? It is not difficult to figure it out: Professional and dedicated teachers, complete laboratories, top teaching technology and a balanced approach to performance based on practical experiments, research and tests. Life Science is a subject that opens your eyes to the miracle that nature is. It is a subject that teaches the science of life in the context of life. Where else can one find the opportunity to study the mastery of nature and appreciate the grand design that is the world in which we live? Our department’s focus is knowledge in context and along with the Natural Science department it is our intention for the young men in our care to interact with and work with as many plants and animal species that we can possibly find throughout their stay at Parktown. Nature is life and we love nature! In today’s rapidly changing global environment, a sound understanding of the world around us, how we interact with it and how it interacts with us, is an ever increasing issue of importance. Everywhere you look, every newspaper you read and just about every advert you see has the environment in mind. The leading issue on the global agenda is that of climate change. Yes this is an extremely broad topic and one that could fill up the Geography curriculum from grade 1 to grade 12 twice over, however what it does do is simply highlight the importance of Geography. History is a fast paced and ever changing subject. As the world evolves so do our perceptions and ideals. What was perceived to be inappropriate 50 years ago is readily accepted as normal behavior today. Social history allows us to track the past and interact with those decision makers, from decades ago, who have shaped the world we live in. It is a fascinating subject which encompasses all that it means to be human! IT focuses on activities that deal with the solution of problems through logical thinking, Information Management and Communication. It also focuses on the development of databases using Microsoft Office Access as the development tool. The subject develops awareness and an understanding of the social, economic and other implications of using computers. Boys taking IT must enjoy both working on a computer and solving problems. It sets them up for life with a skill that will enable them to cope in the world of technology, but is definitely of benefit to boys wanting to study a B Comm with the Business Information Systems OR Engineering (all disciplines) at Tertiary level. CAT is the effective use of information and communication technologies in an end-user computer applications environment in different sectors of society through MS-Office. CAT equips learners with knowledge, skills, values and attitudes to create, design and communicate information in different electronic formats. It’s a great “life skill” subject since we are in the age of computers and learners will be equipped with marketable skills to cope in an information society. Boys must enjoy working on a computer and be prepared to have fun whilst learning the course. All Tertiary courses require the transfer of end-user applications knowledge and skills that CAT offers. Accounting is an excellent subject for learners. It teaches analytical and critical thinking. You cannot learn Accounting parrot-fashion or you will fail. It requires learners to not just take in information but also to understand it and manipulate it to a given situation. It also makes it very easy for someone to enter a business environment after school. Financial statements, ledgers and any sort of financial document will be instantly understandable by you. There are also some very good career prospects in Accounting with companies like Grant Thornton and KPMG snapping up promising students straight out of high school and financing their studies. Welcome to the world of Business Studies. Business Studies is a dynamic subject that can applied to real world use. We aim to equip our learners with skills that they can apply after school to the business world. This is extremely beneficial in a South African context as SMME’s make up a large part of the South African economy. If South Africa is to feature in the global economy it will be through the hard work of entrepreneurs, which is what we will teach your son to become. The Arts and Culture Learning Area covers a broad spectrum of South African art and cultural practices. The areas of Arts and Culture are an integral part of life, embracing the spiritual, material, intellectual and emotional aspects of human endeavours within society. Culture expresses itself through the Arts and through lifestyles, behaviour patterns, heritage, knowledge and belief systems. Cultures are not static – they have histories and contexts, and they change, especially when in contact with other cultures. We believe that every learner should possess the necessary skills to reflect on paper what they feel inside about life or anything else. Advanced Programme Mathematics is offered at Parktown Boys’ High School as an additional IEB subject. This prepares our learners to study further in Mathematics, Engineering and other Scientific disciplines. Athletics at Parktown Boys’ High School has long and strong heritage within the school with Athletics being only one of two disciplines still happening at the school since it opened in 1923. We have the privilege of being one of the few schools to have held the title of Inter High Athletics champions and with hard work and determination we look forward to winning it again. We look forward to seeing you all on the track giving 100% for the Red and Black. The 1st cricket matches reported in the “ The Parktonian” were those of the 1923-24 season. The captain was I.Gering (whose son JS Gering captained the 1957 side) and the matches were played against King Edward, Jeppe, Pretoria, St.Johns and Marist Brothers. The first victory over an established first XI was against St.Johns in 1924 with I Gering scoring 69 runs and taking 5 wickets for 41. Parktown Boys’ High School cricket is now 91 years down the road and is one of the top 10 boys schools in South Africa. Our school has between 30 and 40 athletes who run the leagues on Monday afternoons during the second term. Over the past five years the junior and senior teams have consistently finished in the top two positions of the league against schools such as King Edward VII and St. Johns College. The school always manages to get three to five athletes in the Central District team. Football is not just a game. It is one of the most popular sports in the world (number 1 in South Africa, no doubt), it also a huge business, a passion, an art, which requires discipline and commitment if you want to master its different aspects. And when you do so it is probably one of the most enjoyable experiences, no matter what position you play. It is the beautiful game, the king of sports. Those who are golf fanatics and business men or women, probably already know and understand the subtle nuances that the game of golf has in common with the business process. Golf can tell you a lot of things about yourself and your partners. It’s easy to mind your P’s and Q’s at a business luncheon or in an office setting, but on the course, when your focus is diffused and your guard is down and your competitive juices get flowing, then how do you behave? The game of golf will teach the learners valuable skills that they will carry with them in life to use in business and personal endeavors. Parktown Boys’ High School has been playing hockey since 1952. The only other schools playing at that time in this area were Pretoria Boys’ High School, St Johns College and Boksburg High. The first match played against King Edward VII was in 1958 – which Parktown won 2-1. In 1959 the first inter-schools tournament was played with Parktown emerging as the top school. The first inter Provincial tournament was played in 1960 with three Parktown boys being included in the Southern Transvaal team. Parktown Boys’ High school has a proud history when it comes to its rowing club. We are one of three schools in the Province who are able to boast over 50 years of rowing tradition. Our aim is to provide an opportunity for every young man to have the chance to get on the water and enjoy what is truly a fantastic sport. We strive to be the best through dedication in training and competition while never losing sight of the core values we are trying to instill in our learners – integrity, humility and commitment. The game of Rugby is probably the most televised of our National sports and it is undoubtedly the most successful, next to the individual great Golfers that our country produces annually. More boys play Rugby at Parktown Boys’ High School than any other sport and in terms of its profile, it is the one sport which receives the most media coverage.The entire school certainly comes alive during the Rugby season with so many of our boys being involved. To witness the entire school singing and cheering the 1st XV on each week is something very special to behold and something everyone should be part of. Shooting at Parktown has been extremely successful. The shooters are very determined and as a result achieve great successes. Shooting is very different from other sports in that the shooters participate as individuals representing their schools and also as a team by combining their scores. The scores are carried over to each tournament and the final scores are used to select the provincial team. The shooting season is six months – January to June each year. The provincial team is usually selected in July and the South African National Schools Target Shooting Competition is held at the end of September. Squash is a recent, but nonetheless highly successful sport at Parktown Boys’ High School having produced a number of South African national and age group number ones in recent years. These include Mike Toothill (Parktown’s current head coach), Richard Dodd, and Wade Groenewald (the 2010 under 19 South African number one). Parktown boasts three squash courts in our state of the art Sports Centre. We also make use of Parkview and Chambers Exile squash courts. Swimming is one of those unique sports that is both an individual and team sport. The individual must put in the hours on his own, swimming from one end of a pool to the other in what appears to be a mindless exercise. Each length another challenge, each breath another battle as the water fights to stop you. The team aspect lies in the camaraderie that we experience on the stands when we are cheering for a swimmer, shouting until we are hoarse to encourage the relay team and jumping around and hugging with tears in our eyes when one of our boys has broken a record and swum a personal best time. Parktown Boys’ High School has a long history of tennis. The records first show tennis being played in 1928. Shortly after that there was regular participation against many familiar Johannesburg schools that Parktown Boys’ still play against today. The school 1st team was entered into the local school tennis league. Over the years that followed there were many successes and the school 1st team recorded wins in the local school league. Tennis has grown tremendously over the past few years and continues to go from strength to strength. Water Polo is one of the fastest growing summer activities in South Africa and boys are being introduced to the game at primary school level. School boys are moving away from the traditional summer activities and trying their hand at this very physically demanding sport. The school currently fields two teams per age group and three open sides. Parktown had its most successful teams in the school’s history in 2010, winning the u19 Grey college tournament and the highly coveted Old Edwardian cup, now commonly known as the KES tournament. We were ranked as South Africa’s number one school boy team for 2010. Culture, together with sport, comprises all extra-mural activities at Parktown. Our philosophy is one that caters for a holistic development of young people, addressing their academic, physical, emotional and aesthetic needs. In pursuit of our aim to enrich and extend our boys to the highest of levels, cultural activities have expanded to include an amazing eleven activities. We cannot begin to imagine what the world would be like without music. It’s true not all of us can sing but we all at one point in time listen to a particular artist, we have that song that comes to mind and we start humming it without even realizing that we are doing that. This shows the power of music in our lives communities and even schools. Music help bring people together in rhythm. Chess is so much more than an idle pastime. It has been proven to strengthen logical reasoning, to nurture creative problem solving and to build strategic planning abilities. Moreover, it cultivates and encourages self-confidence, mutual respect and maturity in younger players. 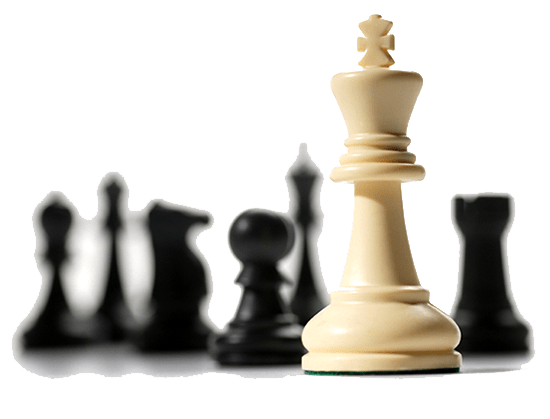 In some countries, chess is an integral part in school syllabi for its educational virtues. What better way to show your creative talent and allow your creative juices to run than to get up on stage and show the world your ability to get into someone else’s shoes! This is drama…particularly at Parktown. Boys play girls, roles are reversed and our otherwise boring and mundane world becomes a place that we all want to inhabit. The number of productions that we put on per year is phenomenal…10 to be exact, allowing all the aspiring young thespians amongst us to get a ‘spot’ in the limelight. We are so proud of what our boys achieve and hope that we will be well supported by you, our most adoring fans. The first aid team at Parktown is a strong and dedicated team who assist at most sport fixtures. The senior boys all have at least a level 2 emergency care certificate and are qualified to help with injuries and CPR. In Grade 8 and 9 the boys are trained and can obtain a level 2 certificate that is valid for three years. This certificate is registered at the Department of Manpower. Valuable experience is gained next to the sports fields and this work and training is invaluable if one wants to make a career in the medical field. The Photographic Society at Parktown Boys’ High School started historically in the darkroom. Now, we have the added advantage that come with digital cameras: endless practice for very little running costs. In the last few years, the dedicated individuals within the society have undertaken a huge portfolio. This year we have seen a growth in interest and numbers within the Society. Our vision for the future of the Society is to develop within the boys a love for the art of photography. Once the love of photography is present, then we can widen our experience and grow our photographic knowledge and skills with the aim of producing a few ‘keepers’ every time we shoot. The term “oratory” is derived from Latin and, broadly speaking, refers to any form of communication which involves the use of words in a spoken format. The earliest Greek and Roman philosophers realized and understood the significance of the spoken word as an important medium of communication on a plethora of subjects, and the use of oratory at Parktown Boys’ High School is certainly no different from that envisaged by those ancient pioneers of the art. The Scrabble Club at Parktown continues to grow each year. The interest expressed by the boys and the opportunity for tournaments outside the school add to the excitement of playing. Once boys discover that the game is also played on a strategic level, and not just a game where one has to make simple words, the interest and participation doubles. The Stock Exchange game has become a very popular cultural activity at Parktown Boys High School. The talent that runs through our boys is amazing. We have seen many successes. We look forward to many more successes in the future. The Parktown Boys’ High Traditional Dancing Group was started in 1999. Initially, the group concentrated on Gumboot Dancing but eventually evolved into Traditional Dancing. Besides the fun of dancing together and performing in full Zulu attire, the purpose of this group is to support cultural inclusiveness and an appreciation of authentic South African traditions and values. Our traditional dancing group accommodates all cultural groups of learners. This kind of activity helps our youngsters to expand their knowledge on cultural activities and their cultural backgrounds. We emphasize the spirit of Ubuntu, where youngsters have to show respect and value individual cultures. The Heart of the Lion is a worthy cause for serving the community and simply to ‘give’. The pupils set goals for themselves and endeavor to complete at least two projects a term; whether it is visiting an old age home, fundraising, visiting patients, i.e. cancer, aids, etc. It is very important to make the pupils aware of life’s most important lessons and gain maturity and greater appreciation of their own lives and families.